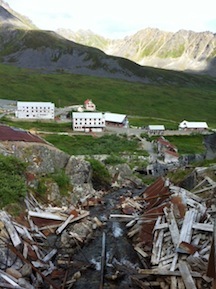 Independence Mine: What a wonderful day trip from Anchorage, straight into Alaska’s history. 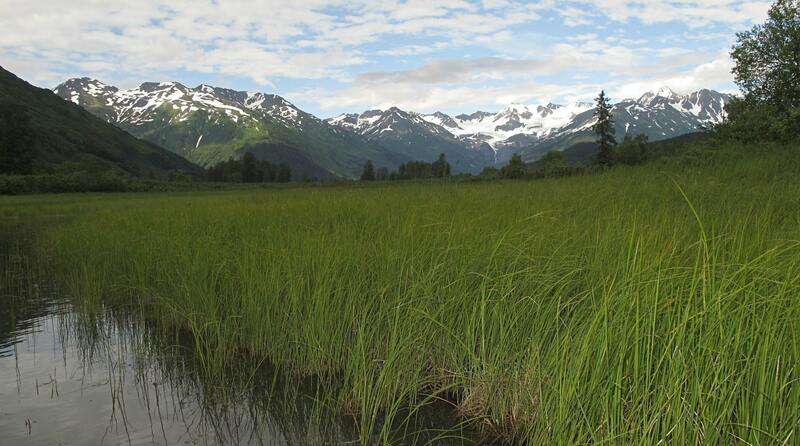 Drive about 2 hours north and get to walk through time by visiting the Independence Gold Mine located on the Palmer side of Hatcher Pass. It is so surreal, walking through the actual gold mine site and seeing what they built back in 1906. Learn about Robert Lee Hatcher and the fascinating mine he built using pulley wheels and a lot of hard work. The original structures are amazing, You can see where the men and families ate, slept, and lived. Stand there – in awe – trying to figure out how they took out over a million dollars in gold before the days of bulldozers and other heavy equipment. Walk along the trails and see the actual “parts” from the machinery, train tracks form the gold cars, battery cars, etc. You can even walk into the “cold room” (what a pleasure on a hot day!). The mine operated for nearly half a century and at a time when it was truly remote and treacherous to reach. Did you know the mine was closed in 1943 as part of the war effort? This activity was nonessential, and it required a lot of diesel fuel, which was deemed essential. In 1946, the mine reopened, but then, gold could only be sold to the US Government…and at a fixed price! The economics of this situation made goal mining unprofitable, and the mine closed forever. Nearly 30 years later, the site was added to the Register of Historic Places. Within ten more years, part of the acreage was donated to become a state park, and a great destination for a day trip came into being! What a worthwhile experience. Well worth the trip. 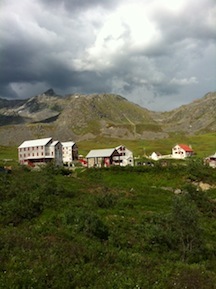 And an added bonus, drive through Hatcher Pass on the way in or out. It is majestic! A blog written in 2009 offers even more of the history and experience – read it for a comparison view! If you have visited Independence Mine, share your experience by posting a response to this story. We hear B&B guests’ stories frequently, and want to share yours, as well. This entry was posted in Attractions, Summer, Things to Do and tagged Attractions, Summer, Things to Do by admin. Bookmark the permalink.